Just a friendly reminder that Italy is playing tonight at 6pm. Be sure to watch them if you can. I took this photo over the weekend in Bassano del Grappa. This was taken along the Ponte (bridge) Alpini. 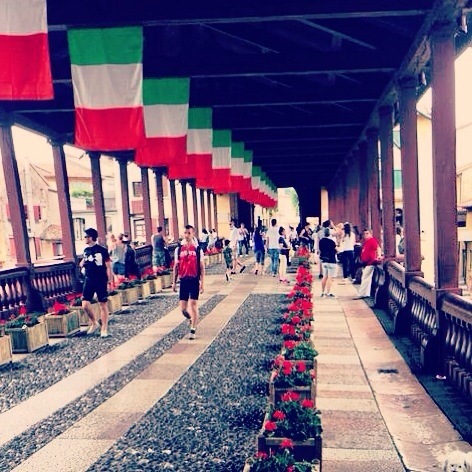 Beautiful to see so many Italian flags and the bridge lined with red geraniums.